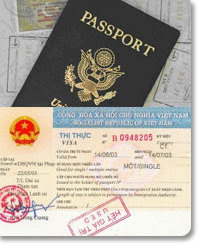 Foreigners must have a visa sticker in their passport -- obtained in advance -- before they enter Myanmar. Several new border crossings opened up along the Burmese-Thai border in August 2013, allowing visitors to enter Myanmar overland and then exit via three different international airports. Travelers to Myanmar have two options: apply for a Myanmar visa in their home countries, or apply for a Myanmar visa in China or Southeast Asia. Due to international sanctions against Myanmar's regime government, there are no direct flights between Western countries and Myanmar. Many travelers opt to apply for a Myanmar visa at the embassy in Bangkok, then grab a cheap flight from Bangkok to Yangon. 2013 Update: Many international sanctions against Myanmar are being dropped by both the United States and European Union in 2013 -- direct flights may be soon to follow! The Myanmar visa allows you 28 days of travel inside of Myanmar after flying into the airport or crossing the border with Thailamd; the visa can not be extended. A visa for Myanmar is only valid for three months from the date of issue, so plan your trip accordingly. Visa regulations and lengths can change frequently, confirm with the embassy where you apply. While applying for a Myanmar visa is slightly more involved than that of neighboring countries, the process is fairly straightforward. As with any regime, you may be asked additional questions and the application can be killed at the whim of officials who may be having a bad day.